Episode #20, chattin' with Kevin about wildlife food plots...owner of the 100+ year old Atlanta Hardware! WGD met up with Kevin at the Atlanta Hardware. We pulled up our stools overlooking a beautiful building that Kevin and his family are renovating and chatted about wildlife food plots. After the Podcast Kevin showed me his Whitetail Institute display, fertilizer, lime and all that is needed to put in a small or large planting...without emptying your wallet! Episode #19, WGD welcomes back John Eberhart...and his approach to hunting Michigan's big timber. WGD reached out to John Eberhart on the eve of Michigan's no bait rule. He is quick to tell us that Michigan is one of the most difficult states to hunt the elusive whitetail. But, his approach is doable for anyone that wants to retrain their hunting skills. Episode #18, chattin' with James Sutton, calling the U.P. as he sees it. WGD chatted with James Sutton of Michigan's Upper Peninsula. James, now in his last (senior) semester at "Michigan Tech" tells his reason he will always call the UP 'home'. ...And, he shares why staying in the UP for his collegiate studies, etc. were equally important. Go Huskies! WGD sat down with Jesse and Shawn from Bourbon Creek Gun Dogs and Guides .... a couple miles west of Atlanta, MI. These gentlemen have carved out a great upland bird hunting preserve that offers everyone an opportunity to hunt pheasants and others game birds at their own skill level. As you will listen & learn how this opportunity can change the way many folks will consider the sport of hunting! Episode #15, chattin' with Richard P. Smith, one of our experts in bear and deer behavior. WGD's Gary Morgan chatted with Richard P. Smith. Richard, by all accounts, is an icon in the hunting and outdoor platform. He's authored several books, videos and has been and continues to write for countless magazines and outdoor publications. Most folks appreciate Richard's "unvarnished truth" on many topics such as today's...Bear Hunting in Michigan. WGD shared a pot of coffee with Chad Malcolm and learned the highs and the lows of a Predator Hunter. This episode is dedicated to our friend 'Maggie' and all those who let their hunting dogs do what they love to do....HUNT! Episode #13, Chattin' with The Michigan DNR's Finest! WGD sat down with MIDNR's Fisheries Mgt. Biologist Heather Hettinger and Wildlife's Division Outreach Communications Specialist Katie Keen. WGD's Gary Morgan seized an opportunity to sit down with Jim VanSteenhouse during a brief visit back home. Jim recounted his grizzly attack while hunting trophy moose in Canada's Northwest Territory. Jason Proctor joined WGD's podcast program to share his thoughts on where our fishing & hunting 'industry' is heading. His optimism is contagious if we'll just embrace what it takes to "get there". WGD chatted with Jerry Everhardt who mastered a whitetail hunting method that can fill the void for those adversely affected by Michigan's new "no bait" rule for all of lower peninsula. WGD's Gary Morgan had the privilege of chattin' with John "Sam" Dewyse. John is a master builder/craftman who spent a great many years building structures of the highest quality. If you were to meet up with "Sam" he'd want to tell you a story or two about rabbit hunting with his grandkids and his prized beagles. A humble man with a story to be told! WGD's Gary Morgan sat down with Don Strabbing during bear camp. Though Don did not tag a bear he sure has a story to tell. Our second half of the podcast brings us to chat with Wes Smith. Wes is a humble man that sure leads by example! Episode #7. Biologist John Eveland, Unified Sportsmen Pennsylvania lock arms with LSU researcher, Dr. Bastian .... the cure for CWD! WGD chatted with Biologist John Eveland, who stands firm with the Unified Sportsmen Pennsylvania in a formal partnership with LSU's Dr. Bastian in his quest to continue his quest to cure the CWD epidemic ... and then some! Stay focused ... as the cure is here!! WGD's Gary Morgan took his Podcast on the road to south Indiana and chatted with one of the most iconic persons in the world of Archery & Bow Hunting. M. R. James is a gentleman and scholar in the truest sense! WGD's Gary Morgan sat down with Jim Brunette, arguably one of the most knowledgeable persons working within the bow hunting industry. Jim manages a hunting department of the 2nd largest crossbow retailing in the country. Let's see what he has to say! WGD's Gary Morgan sat down with Mike Avery to chat about "the yesterday, today and tomorrow" of our Outdoor World. He also reflected on his career - promoting the Outdoor World and how he feels about his home state of Michigan. Episode #3, Chattin' with Tom Lounsbury...a true "Thumbkin". 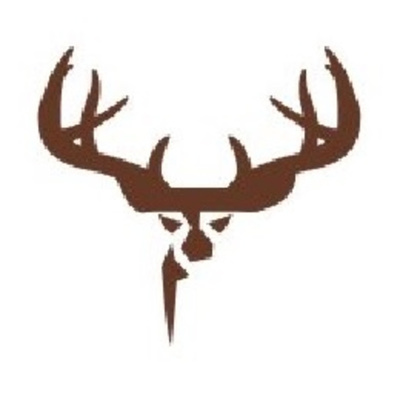 WGD's Gary Morgan chatted with Tom Lounsbury, an icon in the hunting community. Tom has a long-running radio program on WLEW's 102.1 as well as a weekly Outdoor column for a couple newspapers. He's also a contributing writer for several Outdoor magazines, etc. Wild Game Dynasty sat down with John to discuss everything whitetail deer hunting with a heavy focus on scent control. Gary Morgan of Wild Game Dynasty chats with Ross Chambers about his experiences and assistance with the business of guiding clients.